The 2018 McDonald’s Miss Samoa Pageant crowning on Saturday went according to script but the venue could not fit everyone. The Don Bosco Technical College Hall at Salelologa played host to the final program of the pageant with Miss Susana o Samoa, Sonia Piva, taking out top honors. 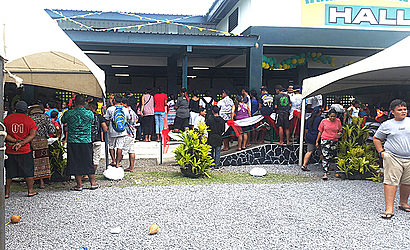 But some members of the public, who travelled from Upolu to Savai’i to witness the historic occasion, were disappointed the venue could not cater for everyone. They had to pay $5 to stand under two tents set up outside. A member of the public, Faatasiga Lutelu, said it was heartbreaking seeing elderly people among those outside trying to get a glimpse of the contestants. “In the Samoan culture, we treat our elders with the utmost respect but you see there were no chairs outside so that they can sit down. It was truly sad to see the elders sit on the grass field when they became so tired,” she said. Fiti Solomona, 64, told Samoa Observer that the organisers must have underestimated the size of the crowd. “The venue is too small to not only host people from Savaii but also those from Upolu, everyone should have the chance to watch but as it turns out not all the people could get the chance to go in. “It all comes down to the organizing committee for this year’s pageant, they did not predict the unexpected,” he said, while sitting on the grass outside. 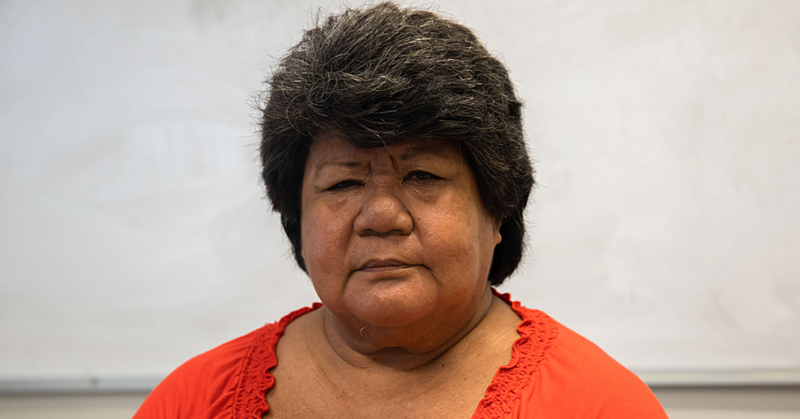 Malia Luapitofanua, 68, from Asau village in Savai’i said she was excited to attend the event but disappointed no chairs were provided, even after they paid $5. The pageant organisers told Samoa Observer last Thursday those who watched the event from outside would not be charged. It is estimated over 500 people attended the crowning.